Speaking up is something people do frequently – to each other or on social media. But are we spending our time wisely? Speaking up to the people WE PUT IN POWER is long overdue. Start with voting; proceed with demands! WE NEED OPEN CONVERSATIONS and OPEN DEBATES ON THE ISSUES! Let’s start in the Senate. 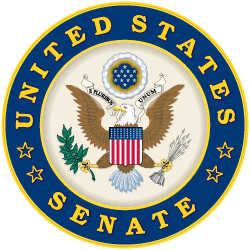 The United States Senate is the legislative body designed by the Founding Fathers to be most conducive to open dialogue and debate because it is the smaller of the two houses of congress and members have a longer term. As James Madison explained, “the nature of the senatorial trust” is in “requiring greater extent of information and stability of character…” (Federalist No. 62). We the People should demand that the U.S. Senate openly deliberate ideas for solving the problems the citizens of this country have identified. 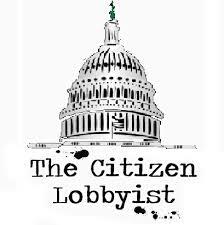 We need to demand they write clean bills – readable and what the People need. It’s a simple request. Get the special interests out and put the People back in the process. We can’t give our consent when we can’t read the bill or trust the lawmakers! Approximately three percent of the population are teachers. Less than 25 percent of families have school-age children. These groups alone cannot take on the BIG money in the education business. To change education policy, we have to change the lawmakers and the lawmaking process. Start by educating yourself on the issues. Then, educate others and your representatives. Here are some additional tips for writing effective letters. My 2 cents: Courteous, Thoughtful, Brief, and make it personal – speak from the heart. Thank you for caring enough to take action on issues that concern you. Public education should concern everyone! Works great! Thanks for speaking out for better solutions and honest improvements in education and government.